The Sandman's (otherwise known as Dream) adventures in all of time and space, and even some times and places outside of that. I can't remember how I stumbled upon this volume, but boy am I happy I did. I'm not an artistic person, but even I can appreciate the expressive art that lends so much to the storytelling. There's an overarching plot with some vignettes from different time periods/locations scattered along the side, all of which are thoroughly enjoyable. 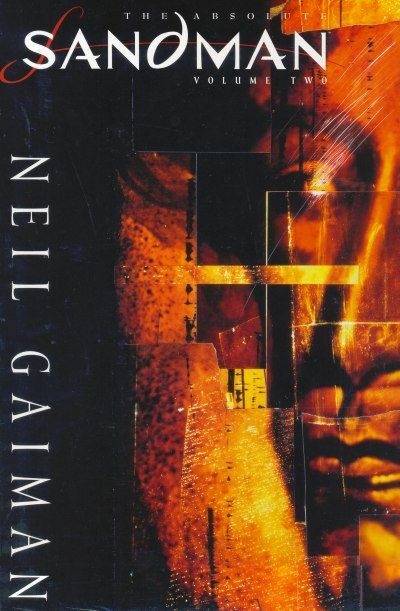 The sheer variety of characters in the sheer variety of (mostly pretty dark) stories is just amazing, and the writing (thanks to Neil Gaiman himself) is phenomenal. So many characters appear through the duration of the tales, and each one of them, however quirky, has a fundamental humanity filled with desires, longings, affections, even if they are the worst people conceivable (looking at you, serial killer conference). This is easily one of my favorites of all time, and I have no reservations recommending it to anyone. Even if you think you're not a comics person (I wasn't), you're going to enjoy this one. I'm a bit funny about trying new authors and new genres but this sounds like a good read. I'm adding it to my wish list to remind me to download a sample chapter to see if it grabs me. Review Quote - This was a magical tale. . .